Uncategorized – WHO IS ANDREA KITAY? In Toronto and the GTA there are a lot of great cost-effective coworking spaces that include free amenities and flexible rentals, ranging from day passes to hot desks and private offices. Need a new office but on a tight budget? Coworking is a great option for those looking for more space and privacy, but not quite ready to make a commitment to a permanent address. Perfect for freelancers, entrepreneurs and startups, coworking provides the flexibility to choose what type of rental you want, and for how long. Shecosystem is the most inexpensive coworking space on our list. The downtown space aims to bridge the gap between work and wellness by offering up a place where women can collaborate. With added perks such as a member’s kitchen with free coffee and tea, healing room with massage table, free wellness classes and access to health insurance, Shecosystem lets you get your work done and connects you with a community that supports your holistic well being. Northspace is one of the best overall coworking spaces on our list, with a wide variety of inexpensive and flexible options available. Two Toronto locations are designed with startups and small businesses in mind, with the goal to foster collaborations and a sense of community by promoting entrepreneurship and diversity. Amenities include 24/7 access, an open pantry with plenty of free and paid food available, an awesome games room and of course, high speed internet and wifi. Devhub is Canada’s first coworking space that is also an educational hub. The downtown space is the least expensive day rental and is perfect for developers of all levels. The community of support you’ll find here promotes growth through mentorship and collaboration. Unlike other coworking spaces, Devhub’s focus is not on startups or entrepreneurs – it’s a space for members to learn, code, teach, engage, connect and be challenged. Amenities include device labs, white boards, quiet working areas, standing desks, and hack nights. Fido is welcome too, as the space is pet-friendly. Lab T.O. is a loft-style space located in the Junction that is one of the most inexpensive options for a day rental. The coworking space is targeted to digital professionals, creatives and entrepreneurs, and encourages support across industries, where everyone can learn new skills, share contacts and make connections. At Lab T.O., each space also includes an ergonomic leather chair and desks built locally, making this a comfy and functional space to work and learn. Women on the Move is designed specifically for women and those who identify as women. This cheapest hot desk Roncy spot is a safe place for women to thrive and is perfect for shepreneurs in early stages, across all industries. What better place to empower the she economy than a coworking space designed for women by women? Members can take advantage of free coffee and tea, a guru help desk, professional network, free workshops, as well as professional and social events. Venture X in Mississauga is one of the cheapest options for a hot desk, and is a coworking space that has a boutique hotel vibe. Wide open spaces fill this spot, which includes a diverse and growing community of entrepreneurs, tech startups, consultants, marketing teams, financial advisors, realtors and lawyers. High-tech meeting rooms, super fast internet, 24/7 keycard access, and dedicated hospitality staff round out some of the great amenities. Makeworks is a College West coworking studio that has one of the lowest prices for a hot desk. An on-site laser cutter makes this space totally unique, where members work alongside a diverse community of creative professionals, in the areas of app design and ceramics just to name a few. Awesome amenities like free wifi, 24/7 access, weekly drinks and demo nights, discounted access to prototyping and special pricing for all BrainStation courses and workshops truly make this space a creators dream. The Village Hive gets its name from its location – the beautiful Olde School House in Markham Village. This space is one of the cheapest options for a dedicated desk, and is a community coworking and wellness centre all rolled into one, with a variety of workshops, classes and networking sessions available to members. The Village Hive is a great alternative to more traditional office spaces, and offers free parking, a shared kitchen with fridge and microwave, internet and wifi, charging stations, coffee, tea and healthy snacks. Workplace One is located in the historic Breithaput Block in Kitchener-Waterloo, with 3 other locations in Toronto. The central location is right in the middle of the city’s influential tech hub, making it a great option for entrepreneurs, startups, freelancers and businesses on the move. One of the best priced options for a dedicated desk space, amenities include 24 hour office access, wifi, printing, copy and fax, community kitchens, A/V equipment and phone/IT plans. District 28 is located in trendy Leslieville and is consistently rated one of Toronto’s best coworking spaces. The cost-effective option for a dedicated desk, offers something most coworking spaces don’t: member access to 3 studios on site, perfect for adding multimedia content to your brand’s Instagram page, or for creating a commercial. The space attracts motivated and passionate creative individuals, with the flexibility to accommodate small to medium sized teams. Amazing amenities include 24/7 access, parking, exclusive invites, a business mailing address, bar/restaurant on site, discounted rates, private screening room and edit suites. The traditional four-wall office is losing its cool, as entrepreneurs and solopreneurs alike are turning to coworking spaces to feed their need for creativity and grow their business. Coworking is another word for shared office space. A space where freelancers and small businesses come together in one facility to pool resources and build communities. With many industries leaning more towards contract work and freelancing, this has left many employees office-less, opting instead to work from home (and let’s be honest, probably in pyjamas). Our goal is to help these freelancers, entrepreneurs, and startups find their desk or corner office and more importantly to grow, both as professionals and as a company. We can help you find coworking environments for creativity, focus, and community. We believe coworking is more than just a place to work the typical nine to five, it’s a movement to make a life and not just a living. Coworking is great for small businesses, freelancers and startups who need more privacy than a coffee shop, or a larger network than your home office. Coworking is appropriate for freelancers in photography and videography, graphic designers, marketers, developers, legal professionals, consultants, data analysts and journalists. Small teams and startups who need a space to grow into can start with a temporary desk and move into their own corner office without changing their wifi connection. 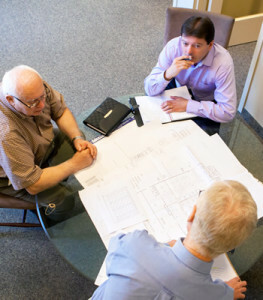 Coworking will push you, and your team’s, productivity to the next level. Depending on where you decide to work, there are many different types of coworking spaces, ranging from a virtual address, to a shared desk or private office. Rentals are flexible, making it perfect for teams that need space to grow, but aren’t sure where they will be in 6 or 12 months. Each rental also includes an office address and use of amenities, like boardroom rentals, wifi, coffee and printing, making it a great cost-effective option that will expand the professional services your business can offer. Take a look at our explore page to find coworking spaces near you. No matter what coworking option you choose, there is something for everyone. Each space offers their own unique benefits, and you should arrange for a tour at a few different coworking spaces. Ask the right questions: What area of the city do I want to be in? How much space do I really need? What is my budget? What type of professional services am I looking for? What type of environment and community will help motivate me? Fall is one of the most beautiful times of the year – the leaves are changing, the weather gets colder and it’s the perfect time to experiment with hair, beauty and makeup. Eyeliner once met neatly lining your lids in black, but for fall, the trend is lines that are not too neat. Everything from winged to double-winged will be making an appearance. Seen everywhere on the runways this upcoming season, red is the colour. And better yet, red doesn’t mean that fire engine red like it once did. It now consists of varying shades and intensities. Cold weather means that our skin will be getting paler but also that our cheeks will be getting pinker. But since skin tends to return to normal once you’re inside, the next big trend will be adding a touch of blush to make it look deliberate – like you have just come in from the cold, but all the time. To help bring you into winter, colours of metal, including silver, gold and bronze are what you need to be seen in. These colours work best on eyelids or even added with a touch of glue and glitter around the eyes. 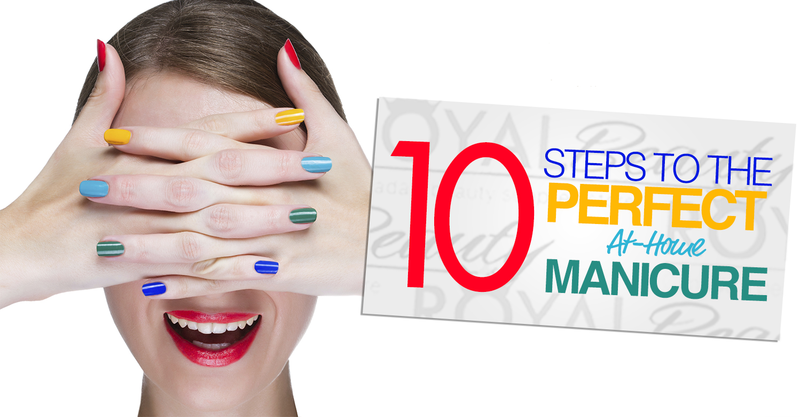 Girls, skip the frequent trips to the hair salon and let your natural colour shine through. This fall sees the return of natural roots. Stars like January Jones and Jennifer Lawrence might present with blonde hair, but their natural darker colour has been presenting itself as of late. Rather than the more traditional ombre hair colour, a hot trend for fall is bronde, which blends light brown with caramel and buttery shades. Rather than decide if you’re on team blonde or team brunette, enjoy standing somewhere in the middle. As we mentioned above, ombre has been all the rage, but for fall, the new trend is warming up near-black hair with brown highlights scattered along the lower half, much like the more traditional ombre. Since fall is all about being cozy, perfecting the braid is the best way to achieve this. Fall is also the time that we can reminisce about back to school days, but gone are the pigtail days, and in come more intricate styles, such as crown braids and side ponytails. Every woman knows that when your hair looks good you feel good. 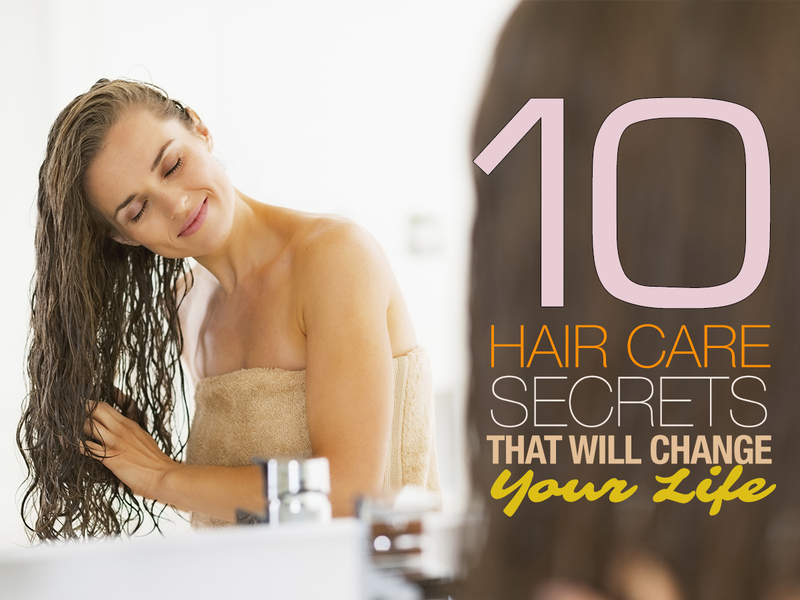 We’ve rounded up some hair care secrets that we’re willing to share. Dandruff: use a medicated shampoo once a week and try a cleansing shampoo in between. Avoid washing your hair everyday: don’t dry out your hair, and instead opt for every other day. If you’re still greasy, try rinsing with just cold water. Change up your shampoo: add some excitement to your life by alternating between a couple of different shampoos. Try vinegar, it works: after you’ve shampooed and conditioned, rinse with vinegar to add shine and softness. Go old school with olive or coconut oil: start at the ends and move up to the roots to leave hair feeling soft, silky and nourished. Lay off the hot tools: don’t burn out your hair, and when you do, use the lowest heat setting possible. Revive curls with dry shampoo, which adds plenty of volume. Go for natural bristles: natural is the way to go, and is less damaging for the hair. Cold water is actually good for you: fight frizz with a shot of cool water after conditioning to seal hair cuticles. Coconut doesn’t just taste yummy, it also yummy goodness for your skin. 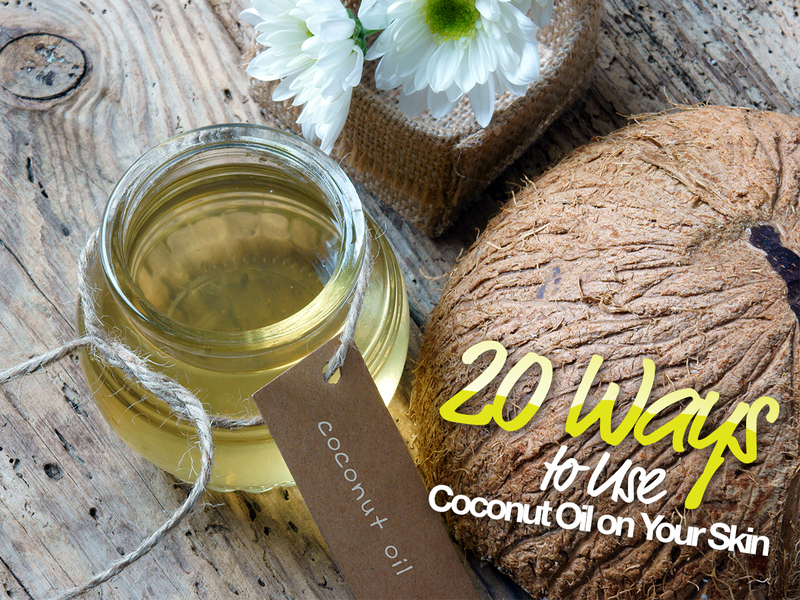 Coconut oil is easy to find almost anywhere and is loaded with good fats that are great for cooking, but did you also know that you can reap the benefits for your skin? Body butter – use a combination of shea butter, coconut oil, jojoba oil and essential oils to make the perfect body butter. Body scrub – mix coconut oil with brown sugar or white sugar. Body oil – rub coconut oil in hands to warm it up and use it in lieu of body lotion. Cold sore treatment – dab coconut oil on cold sores to speed up healing time. Cuticle oil – rub the oil into cuticles to loosen them up pre-manicure. Detox bath – mix ¼ cup of Epsom salts with ¼ cup of coconut oil into a hot bath for instant relaxation. Diaper rash guard – use a tablespoon over affected areas for instant improvement. Dry hands – coconut oil can be applied directly to dry hands as a great remedy. Face wash – clean your face with coconut oil for smoother, softer skin. Deodorant – mix ½ cup of coconut oil with ½ cup baking soda and 40-60 drops essential oils that will harden into an all-natural alternative to store-bought. Insect repellent – mix 8 ounces of coconut oil with 40-50 drops of essential oils to fight off bugs. Lip balm – mix 1 tablespoon coconut oil, 1 tablespoon beeswax, 2 teaspoons of shea butter, with essential oils like lavender and mint for the best lip balm ever. Makeup remover – coconut oil is non-irritating and will give extra hydration to the sensitive area around the eyes. Massage oil – combine coconut oil with your favourite essential oils to rub on sore muscles. Night cream – simply rub coconut oil directly on your face before bed, or if you’re prone to acne or have oily skin, mix coconut oil with your normal moisturizer for extra hydration. Scalp moisture – using coconut oil on your scalp will keep it moisturized and looking shiny. Shaving gel – get a close, smooth shave with coconut oil, which can also prevent ingrown hairs and razor burn. Skin conditions – treat eczema and psoriasis with coconut oil, with has many anti-inflammatory properties. Stretch marks – using coconut oil can help reduce stretch marks while keeping skin moisturized after weight gain/loss or pregnancy. Sunburn relief – coconut oil can help soothe inflamed skin, reduce redness and rehydrate.